Puffin Cottage, Robin Hill Farm Cottages in Nr Bideford, Devon sleeps 6 people. 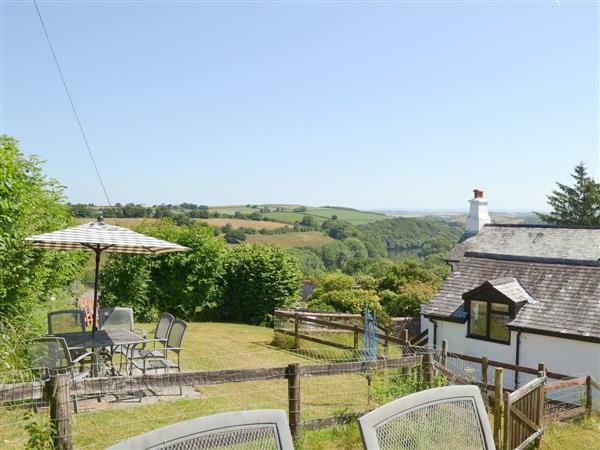 Robin Hill Farm is set in 14 acres of beautiful rolling countryside in the North Devon biosphere. The six properties (refs FAD, HBBZ [Gull Cottage], FAE [Wren Cottage], FKH [Heron Cottage], FKJ [Swallow Cottage], FKK [Kingfisher Cottage]), converted from stone farm barns and buildings, are centred around the old cobbled farmyard. The location offers a peaceful and secluded setting away from the daily hustle and bustle, yet it is only 3 miles to shops, entertainment and the beach. Inside the holiday cottages are well furnished and provide a relaxing haven after a long day sightseeing, walking, cycling or on the beach. The heated indoor swimming pool room includes a hot tub and a stunning conservatory attached. From the conservatory and decking area guests can enjoy the beautiful views over the valley towards Exmoor, whilst drying off or enjoy a coffee or glass of wine no matter what the weather. There is a very well equipped games room for all ages and for big and little kids video games can be enjoyed on a 60in plasma screen. This is a light and airy cottage. Entrance hall. Twin-bedded room. Bathroom/W.C. with over-bath shower. First floor: Well-equipped kitchen/dining-room – faces south and west. Archway to spacious, beamed sitting-room with electric ‘wood burner’, door to patio and terraced garden with views towards Exmoor. Cloakroom/W.C. Up steps to two further bedrooms with sloping, beamed ceilings; one double and one twin-bedded. For a better idea of where Puffin Cottage is, you can see Puffin Cottage on the map below. Puffin Cottage is in Devon; should you be on the lookout for a special offer, you can find all the special offers in Devon. It's always worth checking to see what is on offer at the moment. Do you want to holiday near Puffin Cottage (FAD), you can see other cottages within 25 miles of Puffin Cottage; have a look to find your perfect holiday location.